Construction produces a lot of waste, whether you’re renovating your bathroom or extending your home to fit a new family member. One of the many ways to make sure your home renovation is stress-free and environmentally responsible is to hire a skip bin to deal with the waste. Any project is made a bit easier by hiring a skip bin. 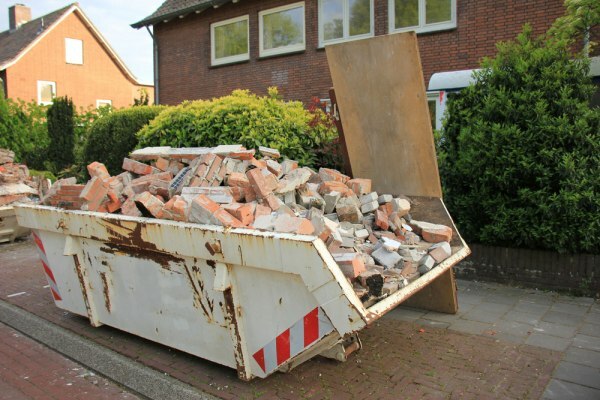 Among the many benefits, you have the option of storing all of your construction waste in one area, rather than allowing it to accumulate and cause clutter and stress. The team at Matt’s Skip Bins can help you choose the right size and number of skip bins to suit your waste needs. We can drop off the bins at a time and location of your choosing and pick them up whenever you are ready – this is easily done when you book our bins online. We will then dispose of the waste responsibly on your behalf. The three key areas to remember when it comes to construction waste are: sorting, reusing and recycling. There are five different types of waste. If you are completing a construction project, you might have a few different types of waste to deal with. Most likely, you’ll have Mixed Heavy Waste, Bricks and Concrete and Dirt and Clay. It is important to pay attention to what can be put in the skip bin and what cannot be. Learn more in our past post on the do’s and don’ts of skip bins. It’s important to sort your waste into the right categories because many disposal facilities are strict about it. You wouldn’t want to incur any fines for failing to think ahead. By recycling and reusing certain construction materials, you could reduce the volume of construction and demolition waste in landfills. At Matt’s Skip Bins, we are always trying to eliminate waste by recycling. The more we all work together to sort through waste and put aside materials that can be reused, the less time we’ll spend at disposal facilities that charge a higher cost for separation and recovery. Recycling construction waste comes with a whole range of benefits for your pocket, too. From potential discounts to extra income from the materials you sell, there are many ways you can win by choosing to recycle your construction materials responsibly. You can also eliminate waste by choosing to deconstruct instead of demolishing. For more tips on dealing with construction waste, contact Matt’s Skip Bins in Penrith today by calling 02 4708 2927 or just book a bin online!